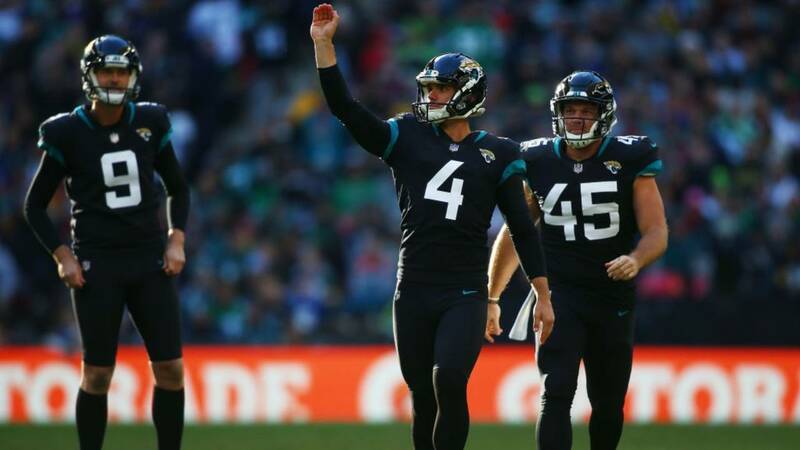 The Jaguars have signed kicker Josh Lambo to a four-year contract extension. The team did not release details of the contract, but the NFL Network's Ian Rapoport reported the deal was worth $15.5 million, with $6.5 million in guarantees. "Doggone good news!! We’ll be in Duval for 4 more years, as I’ve signed an extension with the Jags!!" Lambo said on Twitter. Lambo spent his first two seasons with the San Diego Chargers, hitting 52 of 64 field goals with a long of 54. But he emerged with the Jaguars, becoming one of the franchise’s most reliable kickers in his two seasons here. Lambo was signed to replace Jason Myers on Oct. 17, 2017. Since then, he’s hit 38 of 41 field goals in 23 career games in Jacksonville, including a long of 57 yards. He connected on a franchise-record 24 consecutive field goals over the past two seasons.